Win a brand new LOVE LIFE. 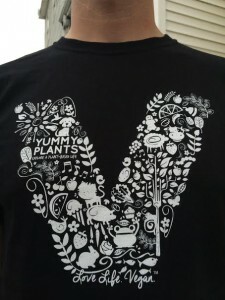 VEGAN.TM organic cotton v-neck Yummy Plants T-shirt! You’ll love this joyful shirt featuring fruits, veggies and adorable animals! Shirts run small. Consider sizing up. Official rules: Enter to win by leaving a comment on this story. 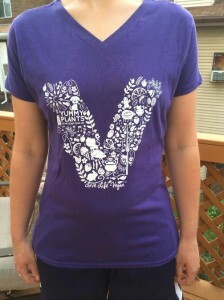 Tell us why you’d like to win the shirt :) Enter by Sunday, 6/21/15 12:00 midnight PST. 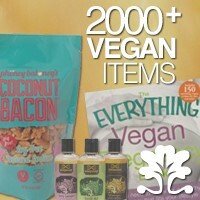 Winners will be notified by email. Good luck! The shirt comes in a black unisex tee too! I couldn’t wait for the contest. I bought two. 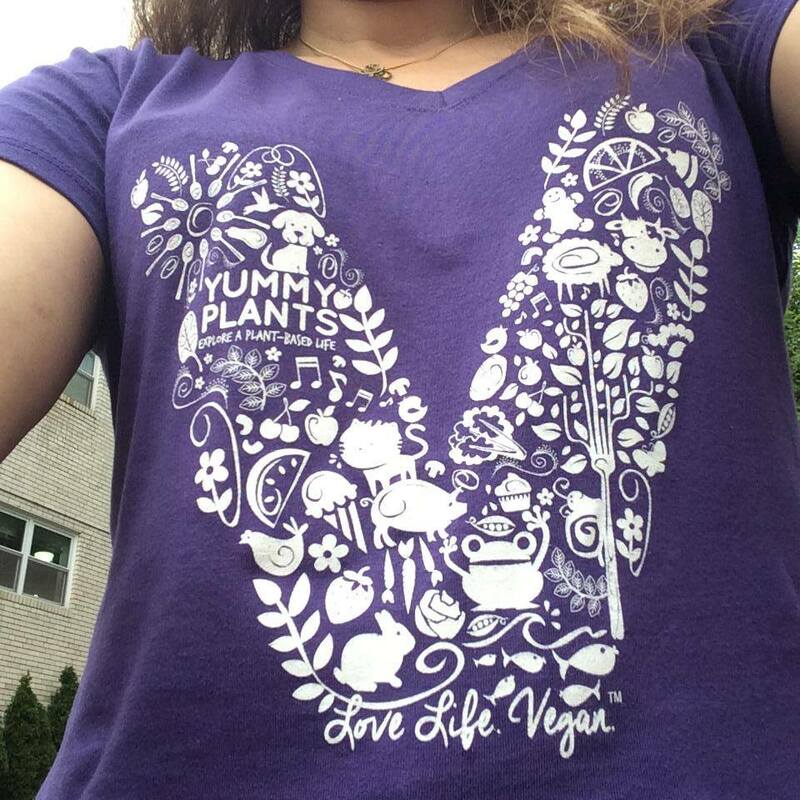 I’d like to win this shirt because wearing vegan shirts is an awesome way to spread the vegan message! I’d gift it to my vegan girlfriend. If I had one. But I’m working on it.